Amaretto is one of my favorite flavors. I LOVE an amaretto coffee. For those of you who are not familiar, Amaretto is almond & cherry. Pinnacle Vodka introduces it's newest flavor to the already HUGE lineup. Amaretto. 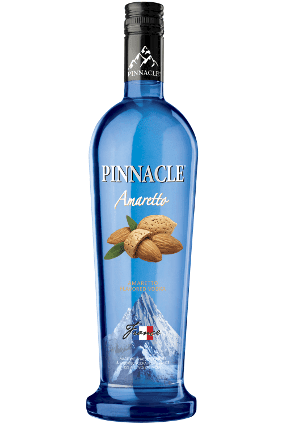 Pinnacle® Vodka, one of the leading imported premium vodka brands, is introducing a new enticing flavor experience: Pinnacle® Amaretto Vodka. This latest creation from Beam Suntory offers a full-bodied almond flavor with undertones of cherry and a smooth, lingering cocoa finish to meet consumer demand for a premium Amaretto Vodka product with an exceptional taste. I found some really neat recipes to try with the Amaretto flavor. Mix vodka and orange juice in a glass with ice and sink the grenadine. Garnish with a cherry. Shake with ice and strain into a martini glass. Garnish with an orange slice. Mix in a glass with ice. Garnish with a lime. 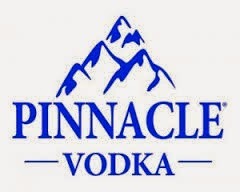 You can purchase Pinnacle Vodka at a liquor store near you for about $12.99 a bottle MSRP. Earzings- A New Concept in Pierce Free Earrings! Muppet's Most Wanted is Now oN DVD and Blu Ray! Time4Learning for Home School Parents! Mini Micro Kickboard the Best Scooter for Kids! Pepperidge Farms for Back to School! BrainStorm Products and Color Me Kites! Duncan Yo-Yo's are fun for Kids of All Ages! Angry Birds Inspired Flavors Now at TCBY! Captain Morgan Rum Review and Rum Cake Recipe! Eni Puzzles- What can you do with a little space? Galactic Sneeze Board Game- Schmovie! Aspen Spices- All the flavors of the Fall! Jack's Pizza for Back to School Days! Hanna Max Cookie Chips Now in 2 New Flavors! Bubble Thing Review- It Makes HUGE Bubbles! Fruit of the Loom for Back to School! Ciao Bambolini Learning DVD for Kids! Whole Foods Products for Summer + $50 Giveaway! Back to School Guide 2014!